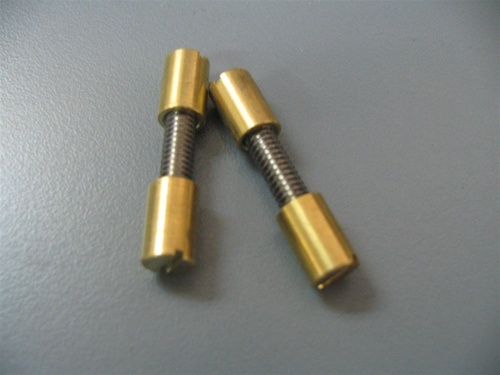 The blind bolt rivet consists of two solid heads with a blind hole approximately four threads deep on one end and a screwdriver slot on the other. These are joined by a short piece of all thread rod. We have these in 1/4" and 5/16" diameter in brass and stainless steel.